“Explosive” is Rep. Mark Meadows’ (R-NC) word. 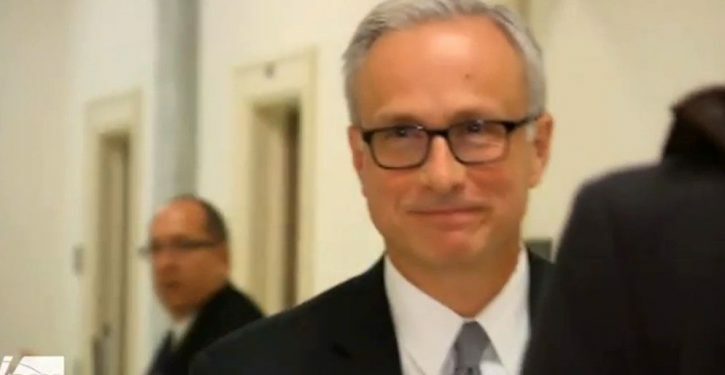 Former FBI General Counsel James Baker gave closed-door testimony to House lawmakers on Wednesday, and reportedly provided some “bombshell” information. Meadows and Rep. Jim Jordan (R-OH), interviewed briefly afterward, indicated that Baker’s testimony had opened some new avenues for investigation. We carried a report earlier by Chuck Ross of the Daily Caller News Foundation on one of those “bombshells.” Baker’s testimony apparently suggested that the FBI had “taped” the Trump campaign using an undercover operative. “During the time that the FBI was putting — that DOJ and FBI were putting together the FISA (surveillance warrant) during the time prior to the election — there was another source giving information directly to the FBI, which we found the source to be pretty explosive,” said Rep. Jim Jordan, R-Ohio. So there was a mystery source of information for the FBI in the period when the FISA application was being prepared – someone the investigators on the Hill apparently weren’t aware of. It sounds like that means the source’s name had never come up before, and not just that no one had ever identified him or her as an FBI source. Let’s move on to the third bombshell before a discussion (which will be, from current necessity, brief). John Solomon has that one for us at The Hill. In the hearing on Wednesday, James Baker told lawmakers that he met with an attorney from Perkins Coie, the law firm retained by the Democratic National Committee, during the 2016 campaign season and before the FISA warrant on Carter Page was obtained. 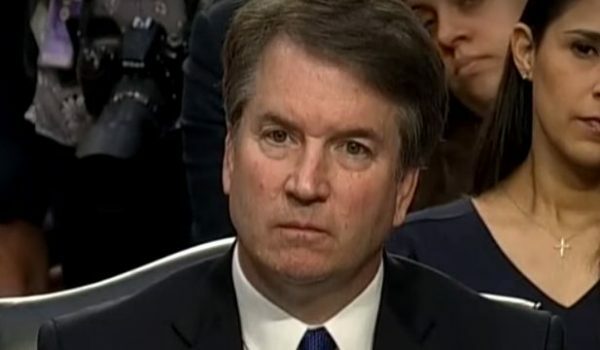 Solomon’s source indicated that Baker’s testimony confirmed other evidence in this regard; i.e., that there may have been such a meeting (or meetings) between DNC representatives and the Justice Department and/or the FBI. A few comments. One, the most obvious candidate for a Perkins Coie representative in this meeting is Michael Sussman, whom we have long known was a former DOJ attorney and now a partner at Perkins Coie. He was with the firm throughout the campaign season, and was the Perkins Coie liaison to the DNC when it was dealing with the Fancy Bear and Cozy Bear server intrusions in May and June of 2016. In previous analyses of the DNC intrusion saga, I have assumed that Sussman contacted his old running mates at DOJ (and probably the FBI as well). Those contacts would have been in the last day or two of April 2016, and in May and/or June. 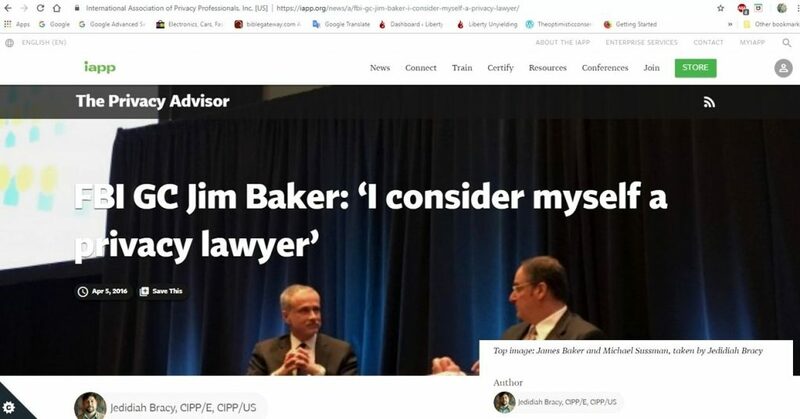 We have known for some time, moreover, that Sussman and James Baker appeared together at a conference in early April 2016. 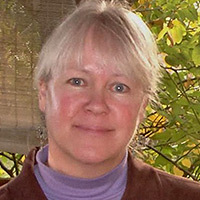 On 5 April, at the Global Privacy Summit in Washington, D.C., Sussman did an interview of Baker as one of the conference presentations. 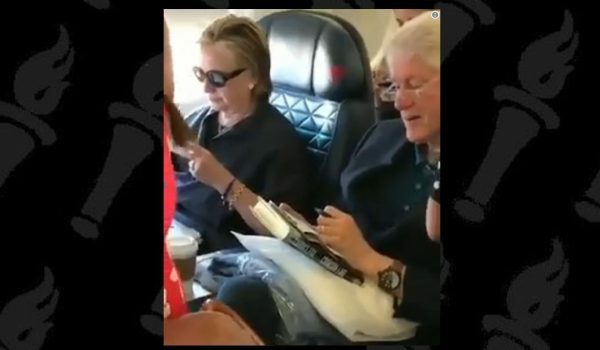 They are pictured together in the screen cap below. Bottom line: we know there was one documented contact between James Baker and a Perkins Coie lawyer. The date of 5 April was earlier than the dossier-FISA application period, but the joint appearance clarifies that they knew each other, and probably very well. Baker is justly assumed – given his role at the FBI and his association with the group that included Andrew McCabe and Peter Strzok – to have been well-informed about the dossier. It makes sense that contact between him and Perkins Coie would be significant. Just a reminder, before moving on, of a set of conclusions I drew in January, about the timeframe that kicked off in early April 2016. 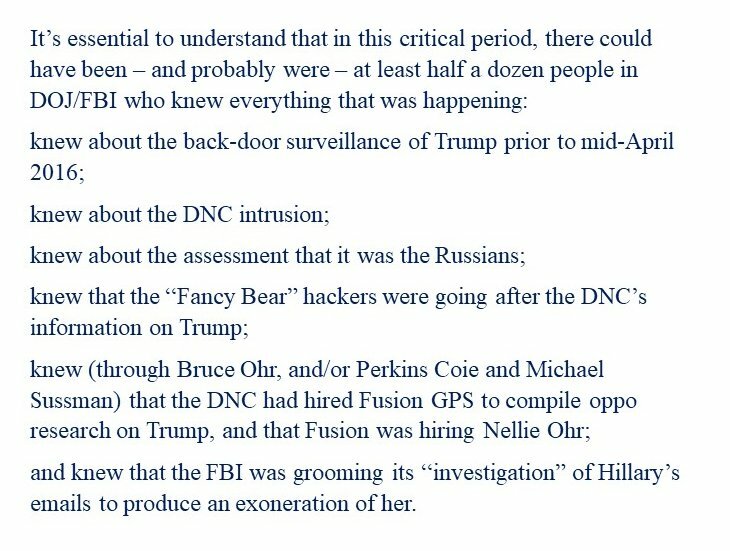 We knew there had to be DOJ/FBI knowledge of certain relevant things involving Perkins Coie and the DNC. What we’re seeing emerge now is evidence of how that knowledge came about – and the clarification the evidence provides that the DOJ/FBI knowledge base had to include the origin of the Steele dossier as political opposition research, well before the October 2016 FISA application was submitted. Regarding the mystery “source,” it will be important to have this parsed to determine if the source the congressmen had never heard of before is the informant who may have “taped” the Trump campaign. It’s unclear at this point if they are one and the same. If the two features describe a single individual, that is especially interesting. It means that if there was someone wearing a wire or otherwise performing direct, personal surveillance of campaign members, we don’t have a known, likely candidate for the role. If there were, separately, an operative who “taped” campaign members, and a source we’ve never heard of whose material was used for the FISA application, then we can make educated guesses about both. The “tape” operative could have been several people, and I’m not ready to speculate just yet on who it might have been. A peripheral clue is that the redacted portions of the FISA application, as I laid out in September, include a couple of Top Secret NOFORN paragraphs that appeared in all of the four application packages. In other words, the information was being fed to the FBI in 2016, before the first application and during the presidential campaign. The TS//NF classification would be especially indicative of a highly sensitive foreign source. And the fact that it could have been introduced in a paragraph separate from the TS//NF paragraphs containing the Steele dossier material strengthens the likelihood that that’s where the mystery source’s information is found in the FISA applications. Significantly, however, what they learned on Wednesday doesn’t seem to have changed the opinion of Meadows or Jordan about the case as a whole. It doesn’t sound like they discovered something that makes them think the FBI had a better pretext for surveillance of Carter Page than previously indicated. Whatever is “explosive” in the new information, it seems to be about who was involved in spying on Trump, more than why.